NAUGATUCK — An internal investigation into videos posted by police Lt. Bryan Cammarata on his personal Facebook page concluded he violated department policies, and the longtime officer will be suspended. The two videos at the center of the investigation came to the attention of police officials in February. In the videos, Cammarata appears to express anti-immigrant sentiments. In one video, Cammarata talks about how he has been able to walk to the “front of the line” at a few locations in Waterbury. In the video, Cammarata puts on a baseball hat with the letters “ICE,” in reference to the U.S. Immigrations and Customs Enforcement agency tasked with upholding immigration law, and says he doesn’t know what’s happening and is preparing to walk into a store. “A Day Without Immigrants” happened on Feb. 16, 2017. The day involved protests and boycotts in response to President Donald Trump’s hardline position on immigration and illegal immigration. Then-Police Chief Christopher Edson launched the investigation last month. Cammarata, who worked while the investigation was done, was reassigned from his duties as the Naugatuck Police Department’s public information officer and administrator of the department’s social media pages. The investigation is complete. Police Chief Steven Hunt said Cammarata violated two sections of the department’s policies: conduct unbecoming of an officer and the social media policy. Cammarata will be suspended five days without pay, Hunt said. His suspension will run from Monday through Friday of next week. Cammarata will also have to complete retraining in fair and impartial policing when he returns from his suspension, Hunt said. In addition to being suspended, Cammarata is no longer the department’s public information officer nor will he continue to be in charge of the department’s social media pages, Hunt said. Hunt said he felt the discipline was an appropriate punishment since the videos were insensitive to the immigrant community. “They are not in line with the core values of the department. I felt suspension was warranted, as well as the reassignment and retraining,” Hunt said. The Police Commission discussed the investigation in executive session Tuesday, but didn’t vote on the matter. Hunt said the choice to levy the suspension and reassign Cammarata was his decision. Hunt said that Cammarata could appeal the decision, but he did not believe he will. Cammarata declined to comment and referred questions to a statement he issued through the Naugatuck Police Union in February. The internal investigation report concluded that while Cammarata’s videos violated department policies, they were not racist. The report states that there was no bias toward any race, ethnicity, or protected class in the videos and that Cammarata was trying to be comedic in the videos. However, the videos were not in line with the core values of the police department, the report states. 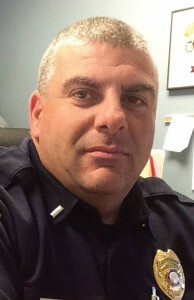 A review of Cammarata’s personnel file showed that this suspension is the first suspension levied against him in his more than 18 years with the Naugatuck Police Department. In 2002, he received a Meritorious Service Lifesaving Award for the role he played in preventing a man from jumping from the Prospect Street Bridge. It is a shame that Officer Cammarata had to apologize – he did nothing wrong and is a hero for sticking up for what is right. In my opinion, he can do better by posting more videos instead of apologizing. Much to do about nothing. No crime committed… who was injured? Illegals have more rights than the citizens of the USA. Thanks to losers like Murphy and Blumenthal. What a way to send bad messages to his fellow officers from the top down. The discipline measure was way worse than the actual joke.